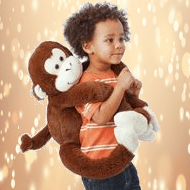 Here at Choose Valley we champion Chad Valley toys with their ability to captivate and bring joy to your most cherished. 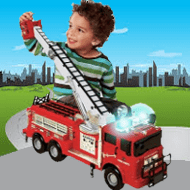 Ignite imaginations, stimulate creativity and sprinkle a little magic dust over their play time with the incredible selection of Chad Valley toys. 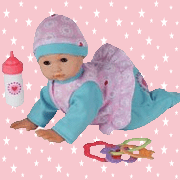 The Chad Valley range of sweet dolls, accessories and fluffy toys helps bring your little ones imagination to life. These endearing cuddly friends become delightfully ever present as children interact with their own fantastic world of creativity. Little ones will love cherishing their very own Chad Valley Tiny Treasure baby doll as they play parents for hours of fun and imaginative play. Complete with super-soft fine hair, authentic fresh baby smell and wonderful high quality outfits these dolls have been beautifully finished. 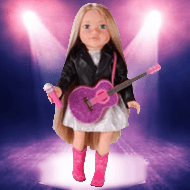 Your little ones will be overfilled with joy at the number of delightfully sweet Chad Valley dolls they can befriend and immerse in their continually growing and detailed role play. Something for every taste and imagination. If your little ones are blossoming fashionistas or enjoy creative play you needn't search any more for the perfect gift; the Chad Valley DesignaFriend is it! Dolls can be styled and personalised to create fabulous looks through fun experimental mixing and matching. 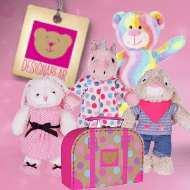 Super cuddly, Chad Valley DesignaBear soft toys are sure to become a firm favourite of your little one. With stylish outfits which can be mixed and matched, this Chad Valley range sparks the imagination of your most cherished as they customise their Bear. 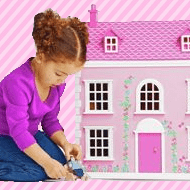 Discover the enchanting world of Chad Valley dolls and dollhouses and let their majesty beguile your little ones. A brilliant way to engage and stimulate imaginations, our beautiful selection will entrance for long-time enjoyable play. Little ones love exploring their new world and this is especially true of touch and feel. A snuggle with a Chad Valley fluffy friend will always be welcome. A big hug from a teddy bear can settle down and soothe at the end of energetic play before sleep time. 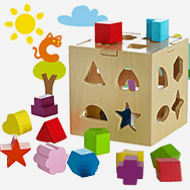 Chad Valley Infant & Pre-School toys are specially designed to encourage learning. These crucial development years are the perfect time for your little ones to explore and discover; these toys help them on their way as they evolve existing skills and learn new ones. Chunky by design making them perfect for small hands, your little one is sure to love Chad Valley Tots Town toys. Fantastic for stimulating imaginative roleplay, evolve creative storytelling within your most cherished as they build their very own Tots Town. 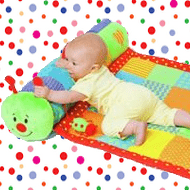 The Chad Valley baby toy range encourages learning through enjoyable stimulating play. Start things off the right way as your little one explores their new world filled with wonderful sounds, lights and movement. 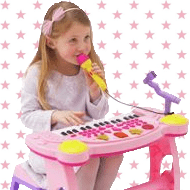 Little ones love discovery and the Chad Valley selection of fun, playful instruments strike all the right notes. You'll enjoy seeing beaming smiles light up the faces of little ones as new sounds enter their world during experimental play. 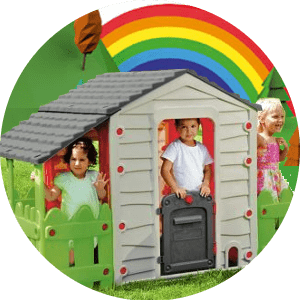 The Chad Valley pre-school brightly coloured toy range are fun and durable to stand the carefree abandon with which little ones like to explore. Perfectly designed to hold the interest and attention of flourishing imaginations. 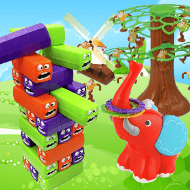 Chad Valley wooden toys are high in quality and robustly designed to enable your little ones to develop their imagination through story telling; continually re-writing the scripts through play as their imagination runs wild as they learn and explore. 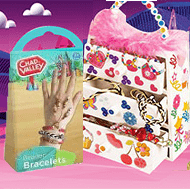 The Chad Valley Make Believe range enthuses little ones as they discover and learn more about their world. 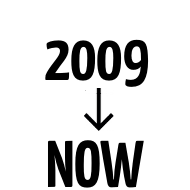 Evolving through play assists the social growth of your most cherished; vital skills are encouraged to flourish from early years to school using toys from this range. Active imaginations will be stirred in little ones as they spend joyous hours drawing, painting, crafting or whatever else tickles their fancy! Take a little peak at the outfits and you're sure to be inspired to create some fun roleplay scenarios. The Chad Valley Let's Pretend range is a fantastic way to stimulate creativity and imagination in little ones as they explore the world around them. Playing pretend is fun solo play but also doubles up as a brilliant way to occupy multiple curious minds at once. 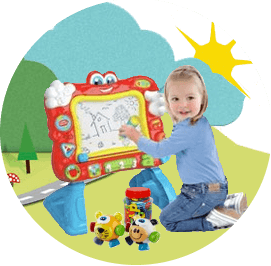 Helping to learn through play, the Chad Valley range of Playsmart toys are designed with an educational theme to develop early skills. 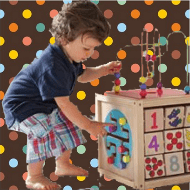 Little ones engage with and enjoy solving puzzles and playing games orientated around shape, letter and number themes. Chad Valley Tween Roleplay consists of a fabulous range of products specially designed to captivate the attention of inbetweeners. Magical and entrancing glitzy glamour encourages youngsters to define their emerging personalities as they explore the world of fun fashion. 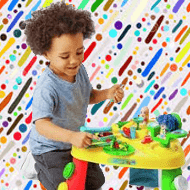 Engage the minds of little ones and actively stimulate imaginations as your most cherished discovers the joy of creating their own masterpieces through painting, drawing, crafting and everything in between with the Chad Valley Creative Play toy range! Here at Choose Valley, as well as providing a history of Chad Valley, we want to highlight a selection of incredibly fun toys and bring you information of official Chad Valley promotions. 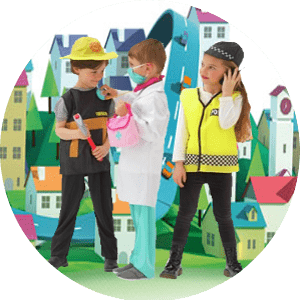 The Chad Valley toys website is sure to have your little ones beaming as they roleplay and explore their imagination for hours on end, creating their own amazing adventures. Your most cherished will be energized with a fantastic range of outdoor toys (a great way to keep fit in the process too!) and for inside play why not pick up some educational toys to stimulate the mind of little ones as they find their way in their new and exciting world... or perhaps they'd instead like to play make believe with a Chad Valley doll? With so much choice, Chad Valley will surely have the answer! A selection of some of the best selling, most popular Chad Valley toys, dolls and games including 2 for 15. Other little ones love these products so your most cherished is sure to as well! Fun for kids no matter the weather. Bring a smile to the face of your little one and kickstart imagination when you grab some amazing Chad Valley toys 2 for £15, sure to become playtime favourites. 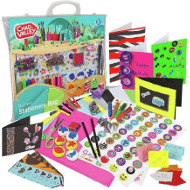 Great for long time play with toys to match the wonderful varying personalities of kids. 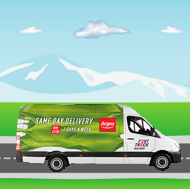 Order online today and you'll have your Chad Valley toys & dolls the very same day with Argos Fast Track delivery, operating 7 days a week. You can even take your pick from four handy time slots spaced throughout the day. We're not toying around! 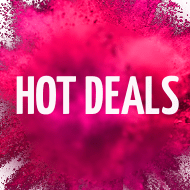 Cheap deals on a range of amazing toys! 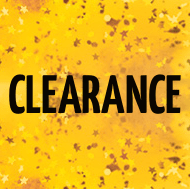 Pick up something for your little one whilst stocks last and grab yourself some great bargains. 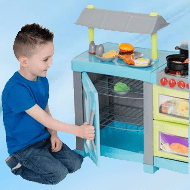 A range of lovely Chad Valley goodies included in this Argos toy clearance. Our random roulette of Chad Valley toys has selected the below for you to take a peak at, why not check them out and see what you make of them. 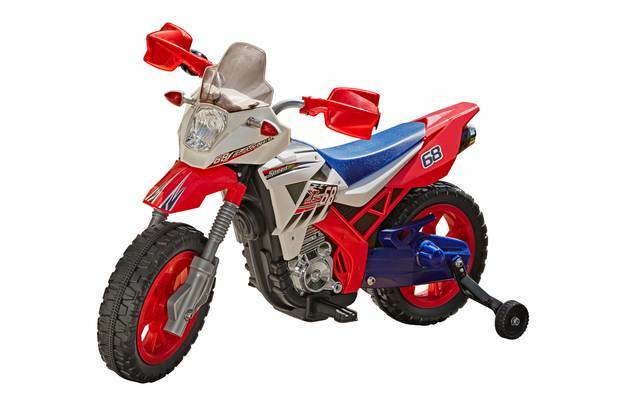 Who knows, perhaps your little ones next all-time favourite toy is included! Plenty of fun times to be had for little ones as they delve into the wonderful world of Chad Valley Action & Adventure. 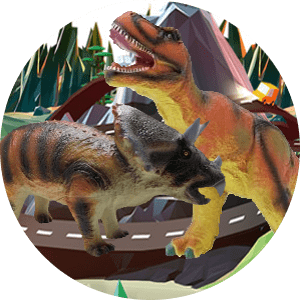 Imaginations run wild as kids roam the plains of creativity with their new dino friends or go on quests seeking out treasure with sea-shrewd pirates. 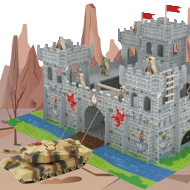 An explosion of mix 'n' match fantasy play can even see tanks defend the castle from creatures, with fire engines putting out dragon flames! 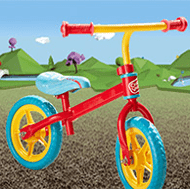 Set the imaginations of little ones racing with the Chad Valley Vehicle City range. Colourful toy cars whizzing through loop-the-loops, turning sharply as little rescuers respond to the latest catastrophe with sturdy emergency vehicles, complete with flashing lights and siren effects! Little ones love playing with moving parts in their intricate fantasy worlds. This range of Chad Valley toys spark the imagination; explore and seek out treasure on the high seas, engage in top secret military operations or try a daring rescue of the beautiful princess in the castle! Little ones are taken on mighty pre-historic adventures as they wonder in amazement at the impressive roaring of their Chad Valley dino friends. Hours of long-time play plus kids enjoy learning dinosaur names during fantasy exploration. 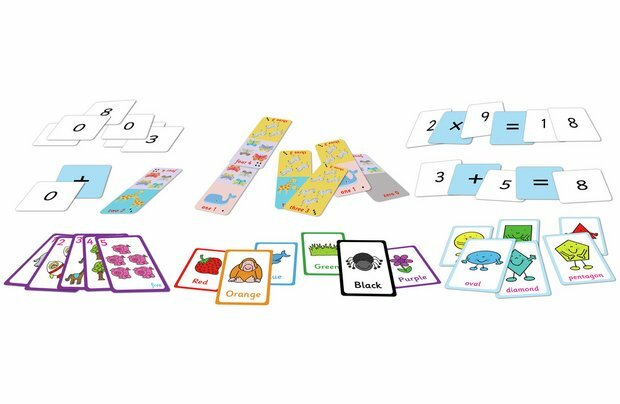 Great for improving hand-eye co-ordination and dexterity, Chad Valley games are not only fun and engaging but stimulating too. Little ones will laugh with delight with friends or family, gaining an understanding of cause and effect thanks to their problem solving nature. Introduce your little ones to the fun world of outdoor play with this specially designed Chad Valley range. Lots of laughter will be had as you place your most cherished into the driving seat of our zoomies and watch them zip about. Alternatively perhaps some playful sports activities or a roll around the brightly coloured ball pit is just what's required to make the most of a sunny day. The Chad Valley range of Outdoor Toys is the perfect way to enjoy outside play. 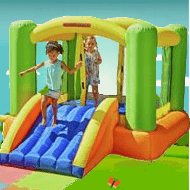 A spectacularly diverse offering encompassing everything from sand-pits to trampolines, Wendy houses to swings there's a toy for every little one to explore. Children and adults the world over love the world of sport and your most cherished is sure to agree! Introduce your little ones to the fantastic Chad Valley Sports range and they'll be kept busy as they enjoy plenty of active fun. 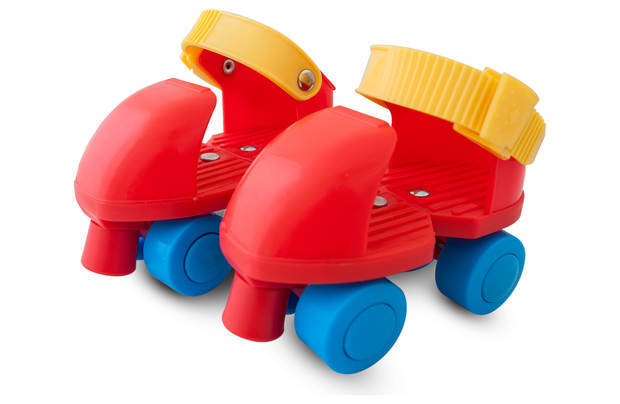 Little ones will enjoy whizzing around and exploring thanks to the Chad Valley Wheeled Toys range. Beautifully coloured motorised toys give welcome respite to the aching backs and legs of push weary Mum's and Dad's too! The name "Chad Valley" is derived from the Chad Brook, a small stream located in the Birmingham suburb of Harbone. With it's initial roots established by Anthony Bunn Johnson as a fledgling printing company, is was under the management of Joseph and Alfred Johnson - the son and grandson of Anthony respectively - who moved the the company next to the stream which lends it's name to the Chad Valley district from which ultimately the "Chad Valley" brand was born. Eight generations of children have been delighted by Chad Valley toys and this pleasure has not been confined to only Europe, but across the globe. While some toys were designed to be simplistic and nothing more than a "bit of fun", others were sophisticated examples of engineering especially designed to stimulate young minds and assist engagement with the surrounding world. This diversity coupled with supreme build quality has been at the forefront have been features of Chad Valley throughout their history, which now spans over 150 years. Collectors with a keen eye for quality know the worth of official Chad Valley toys, and therefore it is not uncommon for pieces to be described as in good condition despite a lofty age. An initial notion to re-purpose printing trimmings into fun playthings metamorphosed into an industry leading specialised business of a completely different nature, one which saw the Johnson family build a world renowned toy company in Edwardian times. Such was their dominance, that for much of the twentieth century they held a leading position within the toy market. Located in the valley of the River Chad, the forward thinking Harborne team struck deals with companies based around the globe, helping the popularity of Chad Valley toys proliferate in regions they otherwise would not have. Chad Valley toys became must have in high society, providing high quality products to the White Star shipping line, to H.M. Government, to the Great West Railway, and ultimately becoming toymaker to Her Majesty Queen Elizabeth and daughters. Queen Elizabeth liked to delight her young daughters with Chad Valley fashion dolls and although such quality saw a somewhat hefty price tag - a couple of weeks wages for most - this did not deter the upper classes from purchasing with enthusiasm. The Chad Valley brand continues to prosper to this day with it's legacy continuing thanks to its association with Argos, one of Britain's leading toy retailers. The price point has been shifted so that Chad Valley toys are now available to all and not just the elite of society. With a fabulous range of 100s of toys to choose from, plus existing favourites evolving and new toys being developed, Chad Valley is sure to be a favourite for years to come. The Chad Valley selection of cute dolls and cuddly stuffed toys will delight your most cherished as they explore their senses and you'd be forgiven for thinking that the charming cuddly friends are attached at the hip of kids, such is their joy at taking them everywhere! For little ones who have a thirst for knowledge, Chad Valley have toys that are especially designed to aid crucial development as your most cherished explore their new world. 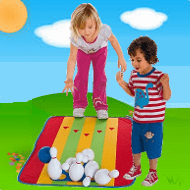 Kids like to keep active, so whether it's sunny outside or wet and windy indoor weather, Chad Valley toys will keep kids amused for hours of long time fun play. You'll hear the laughter echoing off the walls! 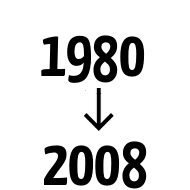 Below we explore the evolution of the Chad Valley brand; from the initial foray into the world of toys, how it became known as purveyors of playthings to the upper echelons of society and the reason why today Chad Valley toys are accessible to all. Although the name Chad Valley may not have appeared on toys until around 1920, toys were being produced by the family who later were come to establish the Chad Valley brand in earnest from the 1860's. Indeed, it was at this early stage of 1830 that that Anthony Bunn Johnson, a British printer, began to dabble in the toy sector and first tried his hand at making simple yet engaging games for children. Given his expertise in printing it was of no surprise that these games were comprised mainly of images on paper or card accompanied by a printed set of games instructions for the kids to adhere to. Jospeh and Alfred, the two sons of Anthony Bunn Johnson, were inspired by their fathers' passion for toys and had ideas to one day branch out on their own. 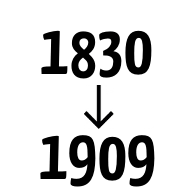 That day arrived in 1860 when, having felt they'd gleaned sufficient knowledge from their mentor Father, the sons took the decision to establish a not dissimilar business called "Johnson Brothers" in George Street, Birmingham, England. Though not every venture was a success the brothers could not be criticised for lacking creativity or endeavor. Certainly the sons improved upon the games of their father by exploring various shapes of card, clarifying rules to avoid confusion, spending time on packaging to ensure it was more aesthetically pleasing as well as creating a range of parlor games. Their persistence paid of and they enjoyed Edwardian hits such as Winkles Wedding among others, meaning that before long they had outgrown the George Street premises and required a custom built factory if they were to captilise on their growing reputation. Finding the ideal sport locally where a factory could be built to their precise specifications required an extensive search but eventually the brothers settled on a site on the outer-edge of Birmingham, Rose Road situated in Harborne which would ultimately go on to inspire the new trading name. The clean-aired area close to the commercial hub also boasted a branch-line railway perfect for product distribution. The brothers wanted a factory befitting their vision of the company and set about commissioning a building universally admired as stylish and elegant which would go on to serve as headquarters for close to seventy years. Aptly named the 'Chad Valley Works', the new factory in the valley of the River Chad produced updated packaging to emphasise the fact that products were now being made by Johnson Bros at the Chad Valley Works. Colloquially toys became known as simply "Chad Valley" and before too long the Johnson brothers opted to adopt this as their flagship name. The Johnsons began to experiment in earnest during the 1910s. With an eye on what was popular with leading European manufacturers, they dabbled with utilising new materials to expand their product range from the rather limiting paper and card. 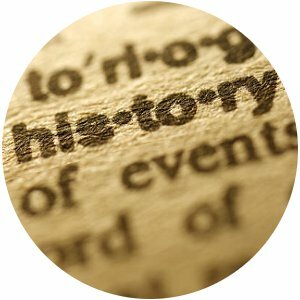 They did however decide that the emphasis should still be towards education and as such the printed word remained prevalent. It was still their intention to market primarily towards affluent families where they'd enjoyed much success with the paper and card ranges. Drawing inspiration from Mary Steiff and her 'family' of cuddly toys the Johnsons decided that soft toys were strategically the right range adopt. The German Steiff had successfully exported an assortment of soft toys to the Unites States where the bear in particular and been a huge hit. Following the legendary refusal of a hunting Theodore Roosevelt to shoot an elderly bear, Americans nicknames these bears "Teddies" in his honour. So it transpired that the this pre-war period so the emergence of the china faced Johnson Bros dolls. 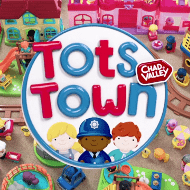 The decision to market toys towards the well-to-do proved to serve Chad Valley very well, as they were the only social group who had the means and disposable income to purchase playthings of this quality. 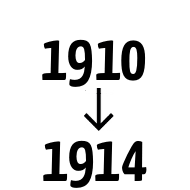 Such was the success of the new models that during the 1910s additional capacity was once more required. Rather than attempt to try and find another site for a new factory, the Johnsons used the Chad Valley profits to buy up their Wellington based rivals, Wrekin Toy Works. This was ideal for Chad Valley as Wrekin has the capacity and equipment required to enable a swift gearing up of production as well as a widening of possibilities. The enthusiastic engineers of Wrekin were cutting edge and had mastered an innovative new way of creating flexible dolls and a lower price point. Rather than being filled with 'composition' (a type of cardboard) felt was used and the fragile china faces was replaced with celluloid. An additional by-product of the capacity driven purchase was the design library and highly respected sales department with their impressive order book. Knowing they were on to a good thing the Johnsons new better than to meddle, shrewdly opting to harness the energy and drive of the Wrekin staff opposed to trying to bend them to their own will. By the outbreak of World War One Chad Valley had established an impressive exporting network across the British Empire and beyond, where affluent families were only too happy to invest in indulgences to keep their kids contently quiet. The purchase of Wrekin saw Chad Valley produce a steady flow of new dolls throughout the inter-war period that those in the upper echelons of society were only too happy to buy, not viewing the price point (between twenty and one hundred pounds) for such high-class products as prohibitive. Chad Valley also took the disruptive opportunity created by the Great War to ready themselves to mass produce their rival to the Steiff bear, which saw its supplies lines interrupted during this period. Popular Chad Valley soft toys included a range of velveteen Bonzo dogs, whose rights were purchased in the early stages of the nineteen twenties. Exceptional detail of Chad Valley products placed them apart from other brands, along with variety. The aforementioned Bonzo dogs had marvelous facial expressions painted onto the velvet base and were wonderfully adorned with leatherette collars. The dresses of dolls were finished in lace and intricately pleated using authentic material; faces were scrutinized to ensure they were of a quality to match Royal Doulton's porcelain 'Lovely Ladies', hand finished with great care. The Chad Valley accessories were also very popular, with boy dolls adorned with felt collard tweed sports jackets, gun bags and neck ties a massive hit with Victorian ladies. Such clothing and accessories resonated as they mimicked those worn by country squires and aristocrats who purchased the dolls for their children. The period of peace between the World Wars saw Chad Valley produce a mix of traditional paper based toys and new innovative ones to boot. Following the successful purchase of Wrekin, the policy of growth by acquisition and laissez faire approach to native R & D departments continued. 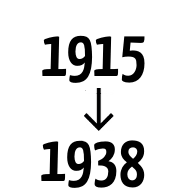 In 1931 Chad Valley bought Peacock and Company. This long established manufacturer added new capabilities, extending the range Chad Valley could produce to include tinplate products like toy cars, clockwork train sets and new eye-catching bakelike early plastic shaped toy trains. However Chad Valley underwent internal changes also as staff members, most prominent being Clifton James Rendle swiftly followed by the Chad Valley Chief Designer Florence May Attwood, broke away in 1930 to form a new soft toy company "Merrythought". The company's first 32 products were heavily influenced on design patterns by the aforementioned former Chad Valley employee Attwood and, with the assistance and expertise of other 'poached' Chad Valley staff, were bought to market in 1931. Following the abdications of his brother King Edward VIII, H.M. King George VI and the new Royal family were thrust into the limelight. The relative modesty and down-to earth nature juxtaposed to previous incumbents of the royal household had the public's intrigue. There was a great desire for stories of tidbits of information regarding the new Scout-Leader King and his Queen, Elizabeth Bowes-Lyon, as little was known about the Duke and Duchess of York or their young daughters Elizabeth and Margaret Rose which worked in the favour of Chad Valley. In 1937 the already popular Chad Valley toys saw a marked increase in sales when talk about towns was that the new Queen of England was an avid admire; "if it's good enough for the Queen it surely is good enough for us" was the prevailing school of thought. When these rumours reached the Johnson brothers they spotted an opportunity to further enhance the reputation of the Chad Valley brand. On a wing and a prayer they tentatively reached out to Buckingham Palace seeking permission spend time with princesses Elizabeth and Margaret Rose for a pair of exquisite dolls and jigsaw puzzle. Little did they think anything would come of it but, to their amazement, only a matter of days passed before they received a handwritten letter from the Queen not only agreeing but proffering potential dates for the sitting. It later came to light that the Princesses considered Chad Valley dolls among the most cherished items within their toy boxes. How exciting it must have been for them to think they were forever to be immortalised as a Chad Valley doll! Samples of these new Chad Valley items had been sent to the Queen who although she signed the release document did so with no further comment. This led those in power at Chad Valley to wonder if they had unintentionally offended her and her offspring, that the likeness was not considered a good one. They need no of fretted as in 1938, just a year after her coronation, Queen Elizabeth sent a Royal Warrant by Special Delivery which was received in Harbone, declaring the company to be 'Toymakers to H. M. The Queen'. This was a massive boon for Chad Valley, who promptly set about ensuring the sew-in labels and boxes where adapted to include 'Toymakers to H. M. Queen Elizabeth'. Unsurprisingly, vast quantities of the Princess dolls and jigsaw puzzle were sold in the home market and beyond their popularity stretching across the Empire with Canada and South Africa regions who really had a taste for the dolls. Chad Valley's prowess for doll-making even touched Hollywood where Walt Disney - royalty himself of the silver screen - commissioned thousands of sets of Chad Valley Snow White and her Seven Dwarfs dolls to be made. These, as well as the Royal Princess pieces, rank among the most collectible toys in the world and are considered examples of the finest Chad Valley dolls ever produced. Once the Royal Warrant was received many more doors were opened for Chad Valley. With an established reputation for quality innovative products the brand became 'Suppliers to H. M. Government' securing as they did contracts to manufacture toys for schools, hospitals and the Armed forces as an official toy purveyor for Officer's kids. Later, deals were signed with Steam Railway Companies and Shipping Lines to supply tinplate scale models of their leading engines as well as good quality 'O' gauge tracks. All were easily distinguishable by their high quality, with a number fully working scale models even producing real steam. Selling at major ports and main London termini was a masterstroke; the finished products were top sellers and even to this day may originals exist due to their robustness. As was the case with many companies during this period, Chad Valley ceased creating innovative toys and instead focused its efforts on providing assistance for the war effort. Instead of manufacturing toys during the Second World War Chad Valley goods included hospital beds, wooden cases, electrical necessities such as coils and starters and even barrels for anti-aircraft guns. Post war the Chad Valley factories reverted back to producing toys, with the printing arm of the firm fully superseded by the success and notoriety that the of selling toys had afforded the company. It was during 1945 that Chad Valley dabbled for the first time in mass producing tin toys, initially outsourcing before huge success convinced the company that it made more financial sense to produce in-house. As such, the relevant machinery and personal with appropriate skillsets were acquired. 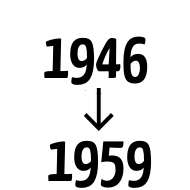 This most notably happened via acquisitions of local companies including metalworking to cut and fold metal, produce clockwork mechanisms and finally to produce precision engineering equipment. As had been the case for years, raw materials were delivered to the Harbone factory by train and the output leaving the same way. 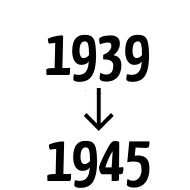 In the 1950s, despite passenger trains being withdrawn, the volume handles means that the branch line and goods yard were retained. The popularity with the royal family saw no sign of wading as Chad Valley toys remained in favour. Indeed in 1952 the royal warrant was amended to read 'Toymakers to H.M. Queen Elizabeth the Queen Mother' following the ascension to the throne of Princess Elizabeth in 1952. As well as being favoured by the Royal family, it was during the 1950's that Chad Valley became synonymous with various stars of screen and radio. They produced the bear 'Toffee' for the Listen With Mother BBC radio programme and later Sooty in 1954, before hiring Kenneth Horne - a comedian and businessman known mostly at the time from his work on the BBC radio show Much-Binding-In-The-Marsh - as Chairman and Managing Director of Chad Valley Toys in 1956 (later stepping down in 1958 following a stoke). Perhaps initially a curious choice, Horne's connections coupled with his humorous personality resulted in clever use of promotional language and images, his characteristics and experience proven to be ideal for a maker of toys. Given his radio background it was unsurprising that he further intertwined Chad Valley with broadcast media, producing as they did the television inspired 64,000 Question game as well as a suite of Sooty toys - Helter Skelter, Flip ‘n’ Roll and Electric Quiz - which were all included in the 1957 Chad Valley catalogue. Also included were My First Game and Shootin’ and Fishin' (which both featured Disney characters) and the Adventures of Lassie game as character merchandising became a key component of the Chad Valley range. For a first half of the 20th century Chad Valley toys were well known and thought of highly throughout the U.K. Indeed as one of the foremost leading toy manufacturers, by the early 1960's over one thousand people were in employment across seven Chad Valley factories. 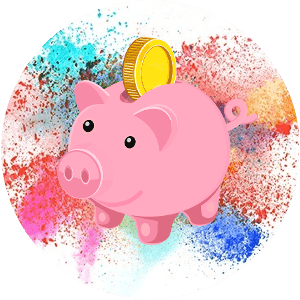 Toys - and especially high quality toys with a premium price - are considered a luxury item and the fate of companies are often interlinked to economic flux. 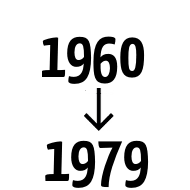 As such Chad Valley was very much caught up in the drawn out economic crisis which occurred in Britain during the 1970's highlighted by rising unemployment, severe inflation and unpleasant strikes. It was therefore no surprise that given this economic backdrop Chad Valley downsized operations and in the early 70's went from seven factories down to only two, which naturally bought with it cuts to staffing and production. Although far from ideal, the company was in fact doing well to survive when many others went under. Spotting the potential in 1978, Palitoy took over Chad Valley and as a sidenote Smoby began toy production this same year, keen as they were break into the market and deviate from plastic household goods. It would not be unkind to say that Chad Valley was somewhat ticking along and had become a shell of its former glory over the next thirty years, resurrected somewhat by Woolworths who purchased the brand in 1988 and continued to market products until it's own major struggles and insolvency in 2009. Woolworths never really recovering from an economic spiral which came to the fore in September 2008, where the world entered into a severe financial crisis which hit high-street chains especially hard, and as the fates of Chad Valley were very much intertwined with Woolworths this was a bleak time. In January 2009 as the assets of Woolworths were being sold to appease creditors Home Retail Group purchased the Chad Valley brand for £5 million, with the intention to sell exclusively at Argos - who was also part of Home Retail Group. Over the next seven years the brand went from strength to strength with Argos being a perfect natural fit; Chad Valley has become one of the most popular toy brands on the Argos site and has undergone a brand refresh with a new logo produced. Chad Valley found a de facto new home in March 2016, as Home Retail Group was purchased by supermarket giant Sainsbury's for an estimated £1.4 billion, but Chad Valley is still sold exclusively at Argos. In mid 2016 the Chad Valley logo was tweaked again as the font changed and the backdrop slightly darkened.